How do I make a Blackboard Course Available? 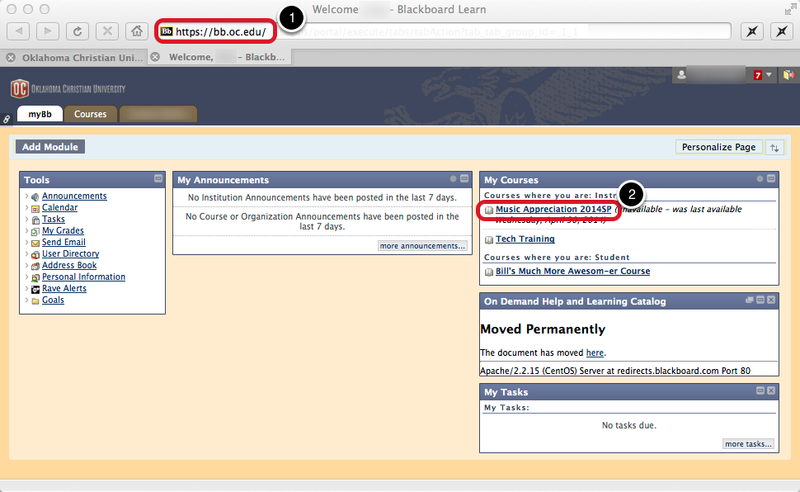 Students can’t see courses in Blackboard even if they are enrolled if the course is “unavailable.” The instructor of the course is responsible for allowing students access. Blackboard courses are unavailable by default when the course is created in order to allow the instructor time to prepare the course before students see it. Click on the Course you wish to make available. 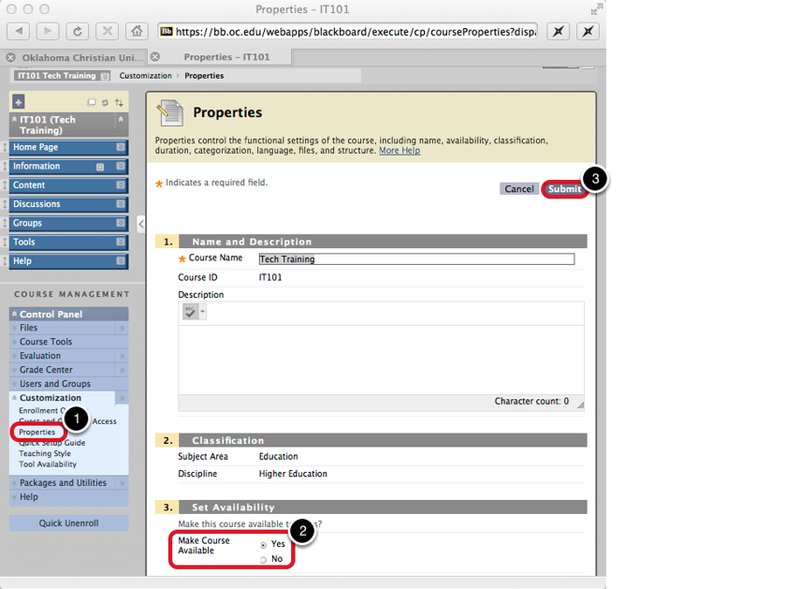 In the Control panel, choose Customization and then Properties. In the Set Availability section, select "Yes" to make the course available.